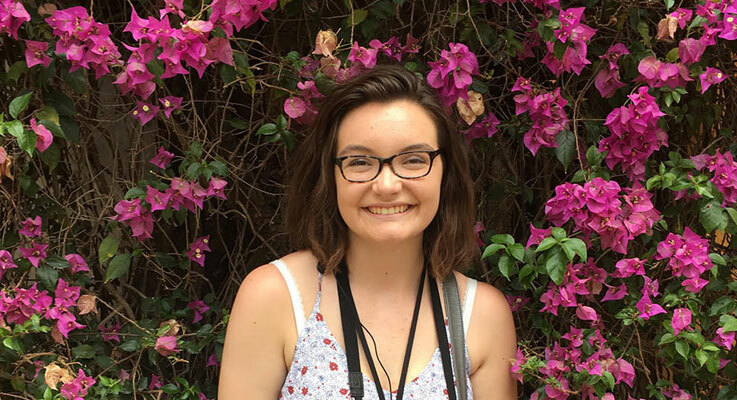 Elizabeth Hoke, daughter of Anthony and Kristan Hoke (OAN members and owners of Silver Falls Nursery and Sunflower Farms), tragically lost her life in an automobile accident on her way to her first week of college. The charitable work of the Elizabeth Ashley Hoke Trust was recently featured on KGW Channel 8 in a segment called Cup of Joe with Joe Donlan, as well as a feature article in the Silverton Appeal-Tribune. Elizabeth was the eldest daughter of Anthony and Kristan Hoke, owners of OAN members Silver Falls Nursery (wholesale) and Sunflower Farms (retail). She graduated from Silverton High School in 2017 as valedictorian of her class and was known for her giving spirit. On September 22, she tragically passed away in a motor vehicle collision during her first week in college. Police said the other driver was speeding and distracted as he crossed over into her lane; he also died instantly in the collision. Anthony and Kristan created the Elizabeth Ashley Hoke Trust in their daughter’s memory. They asked fellow OAN member Carson Lord, owner of Tree Frog Nursery, to run it. The trust will provide scholarships and grants for the people and causes that Elizabeth cared most about. Among the trust’s first acts were the purchase of books for local school libraries, and putting on a free Thanksgiving dinner for more than 200 people in Silverton. The trust is taking scholarship applications for students with interest in music, dance, science, the arts, foreign language and sports, as well as for students who are a member of Future Farmers of America, who are valedictorian of their graduating class, or who are full of gratitude for life.